Patchwork Picnic Quilt, a photo by jenib320 on Flickr. When I think of summer quilts, the first thing I think of is patchwork. 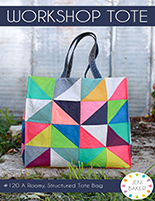 Something about simple patchwork screams summer to me! So when a delicious stack of fabrics arrived from Art Gallery Fabrics on Friday, I instantly knew they needed to become a sweet, summery, patchwork quilt. From there, everything fell into place for this quilt. I ran up to my favorite shop to grab background fabric, Robert Kaufman Quilter's Linen in Natural. On my way home, I stopped at a thrift shop and found the vintage sheet I used for backing (for more info on sewing with vintage sheets, see this post). 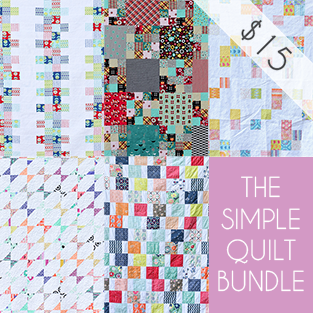 Between Friday and Sunday, that stack became this sweet modern quilt. Sometimes you just get that sewing energy burst, I sure did this weekend! This quilt has been in my head for a long time. The quilt in my head used linen and soft, romantic colors, so the quilt that resulted is pretty darn close! She finishes off at 68"x72", a great size for a summer nap or picnic. I quilted it with simple diagonal lines using Aurifil thread in beige, and bound it in a print from Little Folks by Anna Maria Horner. I had a lot of fun playing with these fabrics! 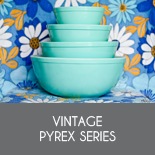 It's a bit of Summerlove, new Oval Elements and new Pure Elements, out in March. Thanks to Art Gallery for sending me these fabrics. I wanted to write up a quick how-to for this quilt, so that you can make your own! It comes together really fast, and it doesn't take a lot of thinking, so it's perfect for the weekend when we all should be relaxing! 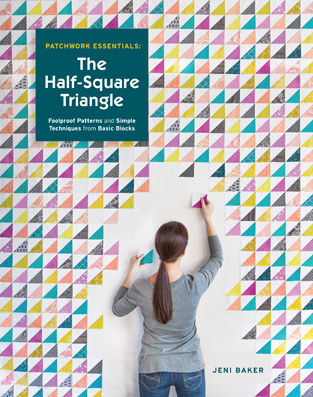 It utilizes a checkerboard pattern, alternating between background and print squares. 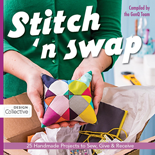 This makes it great for chain-piecing, where you continue to stitch blocks together without clipping your threads in between. So, let's get to it! Summerlove by Art Gallery Fabrics, a photo by jenib320 on Flickr. 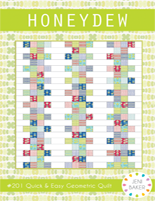 *For this quilt you'll need a total of 120 print 5" squares and 120 background 5" squares. You could use more or less fabrics for desired variety! 12 squares per fat quarter for a total of 120 squares. 1. Sew a 5" print square to a 5" background square. Continue until all the squares are paired up. 2. Sew together pairs of squares, making sure to match up background and print squares. Continue until all the pairs are sewn into strips of four squares. *I like to use a plastic tub or paper bag to hold my squares as I'm piecing so that I can mix them up and get maximum variety! 3. Sew together sets of four squares, making sure to match up background and print squares. Continue until all the four square sets are sewn into strips of eight squares. 4. Sew together sets of 8 squares, making sure to match up background and print squares. Continue until you have 15 strips of 16 squares each. These are your finished rows! 5. Press your seams to one side, pressing all your rows the same direction. 6. 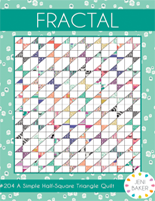 Lay out your quilt, flipping your rows every other row to create the checkerboard pattern above. Label your rows if you'd like! 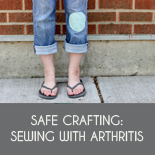 I use scraps of paper and safety pins! 7. 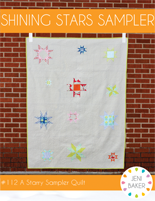 Sew together your quilt top, pressing your rows either open or in one direction. Your top is done! 8. To piece your backing, first cut your backing yardage in half. Press. 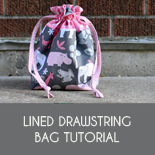 Carefully trim off the selvedges and sew your pieces together lengthwise. 9. 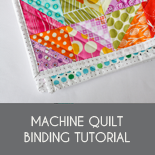 Baste (tutorial), quilt, and bind (tutorial)! 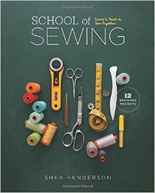 I am so new to quilting and this is a true inspiration for me! I love your blog! I hope I am chosen because I looooove the giveaway fabric! That turned out beautiful Jeni. Simple checkerboard quilts are a favorite of mine too. 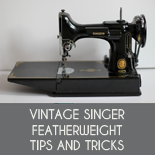 And sew perfect that you found a vintage sheet that worked for the backing just as you needed it. 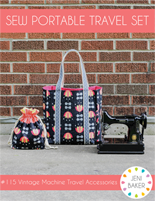 I would sew love to win your giveaway. 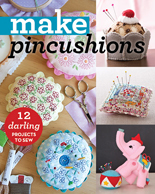 I just might have the perfect project in mind for those lovely fabrics. P.S. 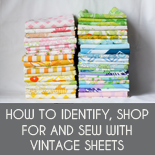 I would also love to hear more about finding vintage sheets. I went to oen local thrift store last week (it is right next to my son's school) and didn't see anything that clicked as good possibilities. I'd love to know what you look for when you shop for these. Thanks. 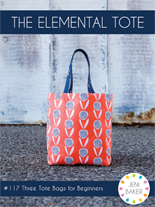 fabulous tute and giveaway! thanks! Oh MY! I would love to win! Thanks for the great giveaway! Another wonderful quilt! I am thinking "peachy" all the way thru :) Thank you for the bonus giveaway, too! So generous!!!! I love your picnic quilt and tutorial. 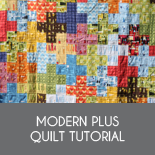 It is always so nice to have a tutorial along with the photo of the quilt :) That fat quarter bundle sure looks beautiful! Thank you. What a beautiful picnic quilt! WOW! Thanks for the chance to win too! very romantic quilt indeed. i love the art gallery solids! Pretty quilt and pretty fabric. So cute! Love the delicious stack of fabrics and love the colours in your picnic quilt! Thanks so much for the giveaway! I love the natural background squares. 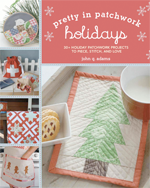 And yes, simple patchwork squares are my very favorite... any time of year! I would love to win all this fabric. 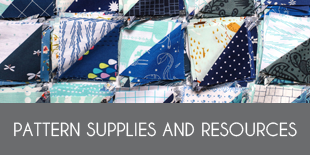 These fabrics are beautiful and your quilt also. Thanks for the giveaway. 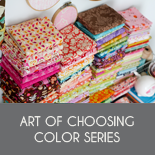 Loving the spring colors in both your patchwork quilt and in the giveaway bundle! i love the quilt jeni! square quilts are always so fun! 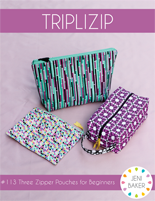 what a fun assortment of fabrics! Thanks for the opportunity. I'm ready for a picnic and then a nap in the shade! Gorgeous quilt - well done. What a fun project! I love the vintage look, and can't believe you did the whole thing from start to finish in just one weekend! Summer in a quilt indeed :-) Now we just need a picnic, shades and a frisbee and we're off to the beach. Wow a quilt in a weekend!! You had a lot to do. The colors are beautiful. Hope I win!! Thanks for the giveaway. Have followed your blog and tutorials for a while now, amazing work! Thank you for giving us the chance to win and create a beautifully cute picnic quilt! Love those fabrics...they would make a great summertime quilt..
Ooh, this makes me want summer even more... I can't stand winter! Gosh I love that quilt. Thanks for the opportunity to enter this wonderful giveaway! 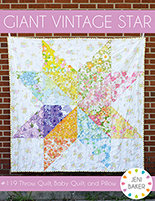 I actually have some vintage sheets to use on a quilt like this! What a pretty color combination! I'd love to win it. Thanks for the giveaway! Very cool. I love the idea of using a sheet as backing... I would never have thought of that! 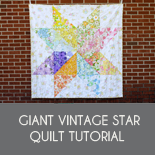 Great Quilt and great fabrics and wonderful tutorial. Love your thrift idea's ,the quilt is adorable .Please include me in your give away and thanks for the give away . 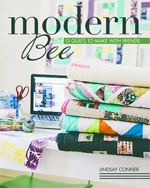 Love the quilt--reminds me of the ones my mom used to make (only she tied them with yarn.) I like the idea of putting the squares in a tub to mix them up. Thanks for the tutorial and giveaway. 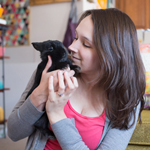 I always enjoy your blog, and a contest is extra special! I love the color you chose for the background on the checker quilt! I never would have pictured that in my mind coming out so wonderfully! Cannot wait to give it a try! great tutorial...you make it "seam" easy. I'm going to try it. Love to win the fabric. 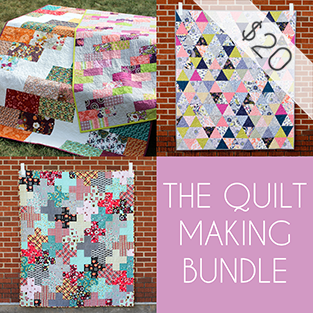 That is a yummy quilt and an even yummier bundle. Would love to make my own concert quilt for this summer!! so pretty! I Love using vintage sheets to back quilts too! I'm glad you admit international entries. Love the tutorial and fabrics. Thanks! It's absolutely gorgeous!! Thank you for tutorial... Can't wait to make one! And thanks for the giveaway opportunity! Your quilt is so cute....perfect for a picnic!! I do have to remember to stop at the thrift store tomorrow to look at vintage sheets....thanks so much for the reminder!! 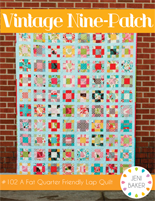 what a sweet patchwork that bundle would make! That is gorgeous and yes, I just love patchwork too. What a cute quilt! I love patchwork. It's the first thing I want to do with a cute collection. Thanks for the giveaway! 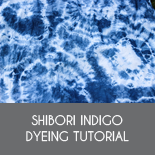 And the tutorial, I might be using this for a couple projects I have in mind!! That quilt is gorgeous! And I LOVE that stack of fabric! I love the soft colors of this quilt. Love. Love the quilt! And the bundle would make a terrific version of it. Thanks for the giveaway! So simple and pretty, I love it. The quilt is charming. I think sometimes we forget how lovely simple patchwork squares can be! Thanks for the giveaway--you'll make someone really happy! Lovely quilt! It reminds me of something my grandma and great grandma would have around. Hi Jeni! This quilt is so pretty, I really love the colors and fabric you used. Loooove that fabric! Thanks for the giveaway. Thank you for the giveaway - I would love to try to make a version of your picnic quilt with those fabrics! 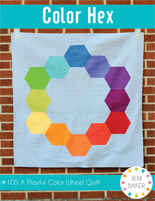 Jeni, your eye for color makes even a simple checkerboard quilt look fabulous. Thanks for a chance at the giveaway. Oh my that quilt is gorgeous. I Love the fabric, thanks for the chance. What a great tutorial! I can't wait for summer to get here! A beautiful quilt using a simple idea. I love those new Oval Elements. That's one of my favorite. Thanks for the chance to win. So cute and summery. I love simple patchwork. Great colors in the giveaway. What a lovely breath of summer, your quilt is gorgeous. Those fabrics are gorgeous too, must check out those fabrics! Thanks for a chance to win these soft, spring colors. I would definitely make a picnic quilt if they get to come live at my house! 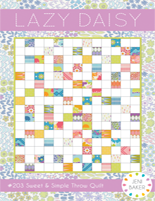 Your quilt is wonderful - love the simplicity of just squares. Thanks for a chance. Beautiful bundle of fabrics! Would love to add them to my growing collection! Love the quilt! Thanks for the giveaway! Thank you for the tutorial and the chance to win some beautiful fabric. Bright and cheery quilt--a patchwork pattern always makes me smile. Love the giveaway! I love the airiness of this quilt. 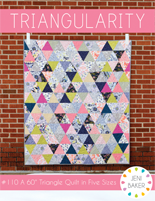 I have two pink fabrics for what will one day be a quilt, and I'd been considering patchwork for it- this has definitely convinced me to go for it! I'm not sure whether or not my email is viewable in my profile or not... So here it is! helpthegamer at yahoo dot com. Thank you for the tutorial and the chance to win! What a fun quilt. I could use a little summer round here. Oh! These fabrics look great! I'd love to win....and thanks for the great tutorial. Thanks for the tutorial on your beautiful quilt. The fabrics are amazing, so thanks for the opportunity to win. Oh, I just love Art Gallery fabrics! Thanks for the opportunity to win and your quilt is gorgeous! 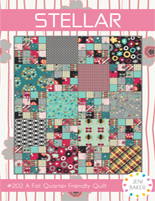 Im new to quilting and I think this would be a great Quilt for me to make, and I love what the finished quilt looks like. 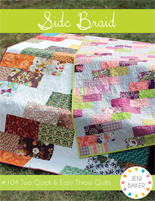 That is a beautiful quilt and a wonderful giveaway! Thanks for the chance! oh inspiration strikes again - on my list of ideas has been a picnic quilt. thanks for the giveaway! Love your quilt! I prefer simple designs myself. The fabrics on beautiful. I really love This bundle. I love Art Gallery too, but none of the shops around here carry it. I would love to be the lucky winner of this great bundle!! Thanks so much for the chance!! It is beautiful, and it will be perfect for summertime, which needs to come quickly! 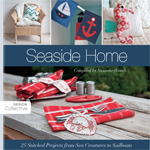 Thank you for the opportunity to win such a great stack of fabrics, too! Love the colors and the quilt. Thanks for the giveaway! Love LOVE L.O.V.E!!!!! Gorgeous!!! That bundle is to die for!!! Thanks!! What a cute quilt. Of course it looks beautiful as always. This sure gives me urges to get some quilter's linen and to quilt something! Thanks for a great giveaway opportunity. Love those fabrics and your quilt is luscious! I love the quilt you made! It looks so great! I love the quilting you did on it as well. Thanks for the fabric giveaway chance. Sweet and simple! Love your color palette. You're inspiring me to make a summer quilt! So super sweet and summery. I'd love to make one of those. My daughter has a June baby coming and this would be perfect for lounging outside in the shade with him. Whoa! 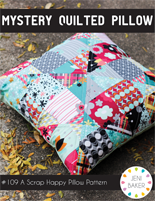 That quilt looks awesome :-) Thanks for the chance to win! 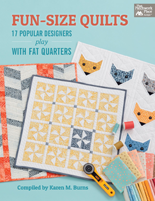 That quilt is so cute--and so doable! Thanks for the opportunity. Great quilt! I'd love to get my hands on some of the fabric, so gentle and warm! Mmmmm love that quilt - definitely summery and in particular makes me think of the golden light of late summer afternoons. Thanks for the chance to win. I loce the quilt. It has a randomness about it that I love. Thanskf or the tutorial. 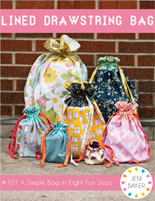 I mix of fabrics that you are giving away are fun together. Beautiful quilt and fabrics! I haven't done straight patchwork yet, thanks for the tutorial! Love it. So simple but it makes an impact. I'd love some additions to my growing stash! What a satisfyingly quick project! The fabrics are gorgeous, perfect for welcoming Spring. Keeping my fingers crossed that I get to play with them myself, thanks! So pretty, Jeni! It is a lazy summer afternoon in quilt form! Great tutorial...very easy to follow.. thank you! 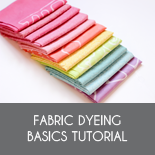 Sweet fabric... and great tutorial... thanks! Sweet little quilt. Love the binding fabric! Fun project and great tutorial! Thank you ! I would love to win that beautiful fabric. 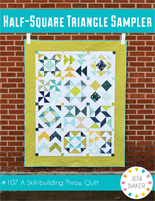 I am thinking about joining the half square triangle block of the month and it would be just perfect! Thanks for a chance at the giveaway! And for the lovely tutorial! love all the pinks and yellows! 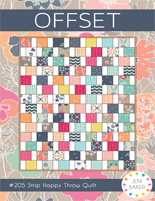 I love the simplicity of a patchwork quilt - really nice color schemes in yours! I just love Pat Bravo's fabric...and I love your quilt! Thanks for the chance. Your quilt is so lovely and soothing! Love it! Love how the quilting just makes the squares stand out!!! Thanks for the tute!! Such a pretty and simple quilt! Checkerboard squares and simple diagonal quilting. Brilliant. Love the simplicity of that quilt - the fabric does it all. That giveaway pile would make a gorgeous version. Thanks for the chance. Love how vintage sheets can complete a quilt perfectly. I wish I had the luck you do in finding them! Beautiful quilt! What a lovely giveaway! I would love to win the half yard (!) bundle! Please pic me! 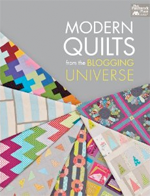 Love your blog and your quilts. Thanks so much for the tutorial and the chance to win. Would love to make this quilt for this summer! I am loving the art of quilting. Did not grow up with it, being from Chile, but the more I learn the more I admire it and love it. Thanks for the opportunity, your blog is fabulous!! Wow, what a beautiful quilt. I love, love, love the fabric. Thanks for the chance to win. I love the new quilt, and your blog. I also like that my son (who was looking at the pictures with me) said "You can make that." :) Thanks for giveaways and the inspiration! 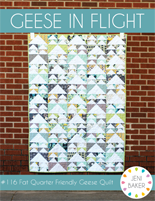 A fabulous quilt and a fabulous giveaway! Thanks for all the inspiration you send over the web! That is a wonderful quilt thank you for the chance to win the giveaway. What a fun quilt! 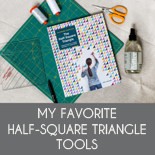 I love the simpleness of squares ... and I just picked up a 5" square die for my GoBaby cutter! So cute!! Thank you for the fab giveaway!!! 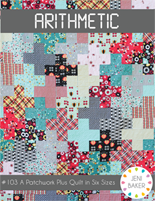 Simple patchwork is perfect for a picnic quilt! Love it! That stack is so bright and cheery, would love to make a picnic quilt for the summer. Love yours! Making a patchwork quilt is on my to do list. Your colors are beautiful!!! I was just about to click to find out where to buy this when I noticed it's a giveaway! First I'll try to win it. lhs4664 (at)q (dot)com. Love the quilt...the colors are beautiful! 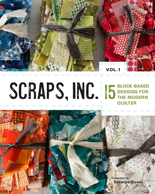 This is a must do quilt, I think I probably have enough 5 inch squares in my scrap bins. Love the beige colour it really sets the other fabrics of well. I have to agree, patchwork quilts scream SUMMER to me too. My favorite backing is unbleached or natural muslin, just so homey. Enjoyed the tute. Beautiful quilt. 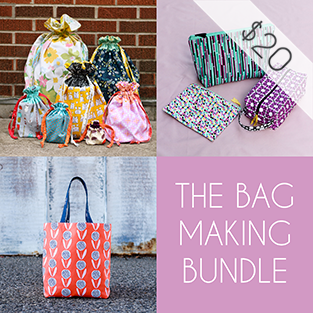 I would love to win that fabric bundle! And you should pick me because today is my birthday! (just throwing that out there for some extra winning mojo) Thanks for the giveaway! Oh DELISH! I would absolutely love to make this quilt! Your tutorial is great too! If I was lucky enough to win I would make the same quilt! Love it! Hope the bundle find its way to my house! 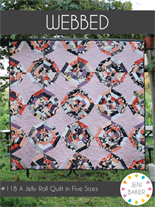 I love the summery feel to your quilt and how you repurposed a forgotten sheet. nice tutorial too! I love chain piecing! Thanks for the giveaway. I love the simplicity of the original pactchwork quilt. I don't think it will ever get old! Gorgeous stack of fabrics too, I hope they find a home here! What a sweet quilt and I am always looking for an excuse to make a simple quilt. I haven't done so yet, but I see so many nice quilts and I keep thinking, I can do that! If I get free fabric for the purpose of making a quilt, I have no excuse, right? I'd love to make a quilt like that ... already envisioning a summer's worth of picnics! Thanks for the giveaway! Great colour combination in the giveaway fabrics. I would love to win them. Beautiful Quilt! Would love to win this fabric and make my own!! Thanks for the chance! Oh I love the colours of the fabric, they remind me of spring. I'm looking forward to it( spring)! Sweet bundle of fabrics! 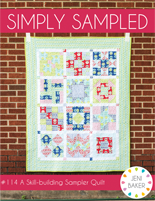 Like your quilt - simple but pretty! Beautiful quilt, Jeni! Thanks for sharing the pattern and the process. I love all things Art Gallery! Thanks for the giveaway! A beautiful quilt, Jeni. Thanks for the tutorial and the giveaway! Those fabrics are yummy! 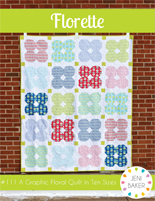 Sometimes the simplest quilts are the prettiest - thanks for the chance to win!